Rüdiger Klimecki ist am 6. Februar 2009 verstorben. 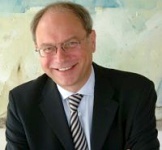 Rüdiger Klimecki is Professor for Management at the Department of Politics and Management, University of Konstanz, Germany. He studied Economics and Social Sciences (1972-1977) and holds a Ph.D. of the University of Essen, Germany, where he worked afterwards as a lecturer in Strategic and Human Resource Management at the Department of Economics (1978-1984). While completing in habilitation (1986) at the University of St. Gallen, Switzerland, he was also Head of Research at the Institute of Leadership and Human Resource Management (1986-1989). Since 1989 he is Professor of Management at the University of Konstanz where he has occupied positions as Dean of the Department of Politics and Management (1992-1993 and 2001-2002) and Vice-President of the University (1996-1998). In 1990 and 1992 he was Visiting Professor in Shanghai (Management Program Constance-Shanghai) and at the University of Economics in Kiew. Since 2003 he is Director of the Academy of Continuing Education. Developmental and Change Management, Organisational Learning an Flexibility, Strategic Human Resource Management, and Management of Organisational Capabilities in Public and Private Sector Organisations. Klimecki, R. & Müller, W.R. (Eds.) 1999. Verwaltung im Aufbruch. Modernisierung als Lernprozess. Zürich: Verlag NZZ. Klimecki, R., Laßleben, H., & Thomae, M. 1999. Organisationales Lernen: Ein Ansatz zur Integration von Theorie, Empirie und Gestaltung. In G. Schreyögg & P. Conrad (Eds. ), Managementforschung, Vol. 10: 63-98. Wiesbaden: Gabler. Klimecki, R. & Gmür, M. 1977. Organisationale Transformation – grenzenlos? Struktur- und Prozessmuster in der kollektiven Bewältigung von Unsicherheit. In G. Schreyögg & J. Sydow (Eds. ), Managementforschung, Vol. 7: 235-270. Berlin: de Gruyter. Klimecki, R. & Lassleben, H. 1998. Modes of Organizational Learning. Management Learning, 29 (4): 405-430. Klimecki, R., Probst, G., & Eberl, P. 1991. Systementwicklung als Managementproblem. In W.H. Staehle & J. Sydow. (Eds. ), Managementforschung, Vol. 1: 103-162. Berlin: de Gruyter.